All Snake Pit attendees must also hold a valid Indy 500 Race Day ticket. The Snake Pit is part of the Indy 500 Race Day activities. You cannot get in with just the Snake Pit wristband. All Snake Pit ticket holders must be 18 or older. Everyone should be prepared to show proper identification to enter the concert area. In 2019, all Snake Pit ticket holders must be 18 or older. Everyone should be prepared to show proper identification to enter the concert area. Wristband prices will increase in May! 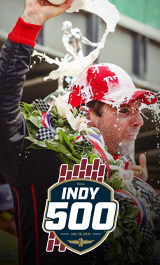 All Snake Pit attendees must also hold a valid Indy 500 Race Day ticket. The Snake Pit is part of the Indy 500 Race Day activities. You cannot get in with just a Snake Pit wristband. All Snake Pit ticket holders must be 18 or older. Wristband prices increase in May! Only a limited number sold at this price.